Sikkim Manipal University is a popular university in India offering distance education courses. One of the most popular distance learning courses offered by SMU is its distance education MBA. 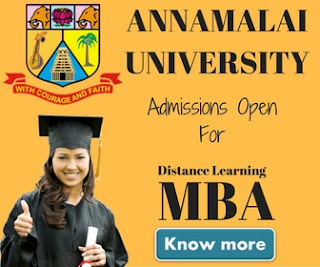 If you're in the market looking for a reputed distance education MBA course for yourself, chances are higher that you must have heard the name of Sikkim Manipal University many times from your friends, family or colleagues. Today we'll tell you about the Sikkim Manipal University (SMU) distance education MBA admission 2019-2020, fee structure, eligibility criteria & ranking. All programmes offered by Sikkim Manipal University DE are recognized by the Distance Education Council (DEC) New Delhi. 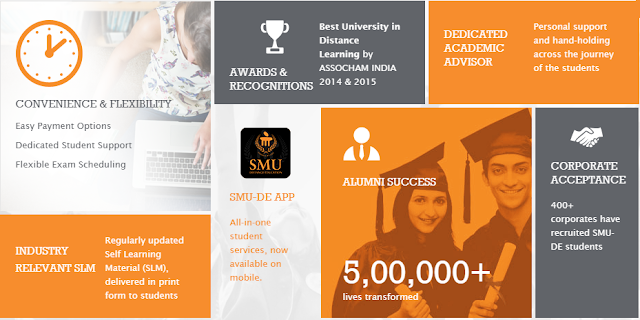 SMU-DE is a member of Association of Indian University (AIU). The University is also recognized by the Union Ministry of Human Resources Development (HRD) and by the University Grants Commission (UGC). The market is competitive & business growths are not stable, Nowadays business demands more from their employees to cope up with the upcoming challenges. It's better if you have an MBA degree for a secure future. 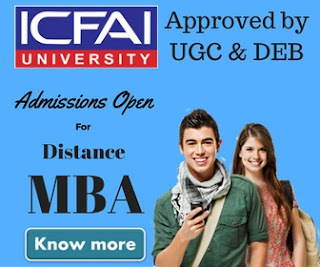 Catering to the huge demand of business management, professional distance learning courses like MBA are the best options for working professionals and students starting afresh. To cater the demand of different business verticals Sikkim Manipal University offers a distance education MBA course with 4 specializations. The specializations are taken up by the students in the second year of their MBA. SMU Offers the following 4 specializations in distance education MBA. SMU-DE is ISO 9001: 2000 certified. 500000+ students have already got their degree from SMU. Strong Student Support and Engagement. Online education through EduNxt: an award-winning learning delivery system. It's mandatory for all students seeking admission into Sikkim Manipal University distance education MBA to take Entrance Test SMAT (SMUDE Management Aptitude Test). All eligible candidates are required to take the SMAT and secure a minimum forty percent mark for admission to the MBA program. Although students who have already take up similar Entrance examination conducted by any other competent body may apply directly to the program. for more details about the eligibility criteria, you may visit SMU official website. Sikkim Manipal University distance education MBA fee structure is as follows. Students have to pay Rs.20,000 per semester. All the fee are subject to change time to time so we advise to cross check with the university officials for the correct fee. Taking admission into Sikkim Manipal University distance education MBA is pretty simple. Students can visit the official website to download the prospectus. Students can send the online application form for admission and hardcopy of the same along with the required documents to the University for confirmation of admission. There is no need to submit the hardcopy of the documents. Students are required to submit the soft copies of the mark sheets and other required documents. Sikkim Manipal University has been consistently ranked among the top 10 universities offering distance education in India. Recently in a survey conducted by DNA & Indus Learning, Sikkim Manipal University MBA ranked as the 3rd best distance learning MBA program in India.